As we approach another Christmas season, the hearts and minds of Christendom are once again focused on those extraordinary events that took place in a little town called Bethlehem during the night of miracles that occurred more than two centuries ago. The timeless Christmas story as recorded in the Bible in the second chapter of Luke reminds us that on that blessed night, a tiny baby boy was born in a stable for there was no room in the village inn, and his cradle was a manger. However, the world should carefully note that this tiny child who in Bethlehem manger lay was not an ordinary baby. This One who was born in the City of David on that blessed holy night would change the course of the world forever. He was not born to be a king, but rather He is the King of Kings and the Lord of Lords. He is the Son of God. To help us focus and remember the real reason that we celebrate the season, the sounds of Christmas permeate the airwaves with carolers singing, choirs and orchestras performing the traditional music of the season, and radio and television stations playing the songs that everyone loves to sing along with. 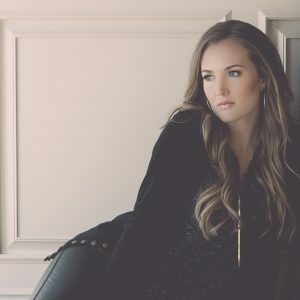 About this time each year, many music artists, such as Stephanie Madsen, also release albums containing their renditions of some of the classic songs of Christmas. 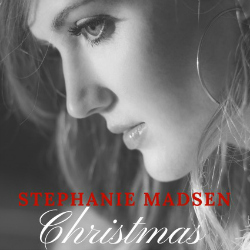 On 1 November 2017, Stephanie Madsen released her new Christmas album called “Christmas.” The album is a beautifully arranged 9-track compilation. With eight traditional songs and an upbeat original song written by Stephanie called “Christmas Eve,” the album is guaranteed to capture the hearts of listeners of all ages and fill any home with the spirit and true meaning of Christmas. In her own unique style, Stephanie unfolds the story of Christmas with songs such as “The First Noel,” “O Holy Night,” “O Come, O Come, Emanuel,” and “Away in a Manger.” Each song is a gentle reminder of the events that occurred on that blessed night when Christ, the Savior of the world, was born. From the first song on the album, “Christmas Eve,” which welcomes us to the season that we are about to celebrate, to the last song, a beautiful rendition of “O Come, All Ye Faithful” which is an invitation for us all to draw near and worship Christ the Lord, Stephanie captures the heart, melody, and tradition of the season. 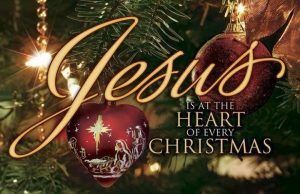 She assures us all that the real reason we celebrate Christmas is because of Him – the King of Kings and the Lord of lords. “For unto us a child is born, unto us a son is given: and the government shall be upon his shoulder: and his name shall be called Wonderful, Counseller, The mighty God, The everlasting Father, The Prince of Peace” (Isaiah 9:6).